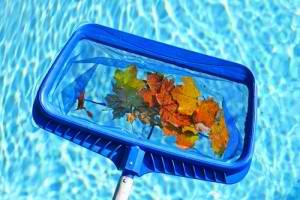 Take care of your Houston swimming pool this summer with the fall and winter pool maintenance tips! If you happen to be fortunate enough to live in a warmer climate and are able to escape the rain and snow storms that plagues to the majority of the continent during the winter months, then you may want to consider keeping your pool open year ’round. There are a number of advantages to keeping your pool open all year, such as preserving the “health” of your pumps and motors, maintaining the chemistry of your water, and being able to entertain people beside your beautiful pool. How Often Should I Maintain My Pool? How often you maintain your pool depends on the amount of time you have to take proper care of it and how often you plan to be using the pool. For most, a weekly or bi-weekly maintenance schedule is more than sufficient, as long as you’re thorough every time. TIP: If you don’t have time to maintain your pool as often as necessary, consider hiring on a pool cleaning company for those weeks when you can’t do the job. What Sort of Maintenance Should I Be Performing? Once you decide your pool maintenance schedule, make sure that you stick with it. As the temperature, sunlight, and a number of other environmental factors tend to fluctuate in the fall and winter months, your pool is more prone to having improper chemistry levels. This could result in damage to the finish of the pool, to the fixtures within it, and make it more difficult to get the water back to acceptable levels when you’re ready to go for a dip.